Access Profiles, Inc.: Small Business Spotlight - The Cupertino Soap Company! Small Business Spotlight - The Cupertino Soap Company! One day while working for a fair trade company, Veronica Nourse and a friend started discussing what they would do if they could simply do anything they wanted. Veronica’s friend said she wanted to make handmade soap. Nourse had never given soap-making any thought. It seemed so much easier and cheaper to simply buy it at the local grocer. But Nourse was intrigued. She asked her friend a million questions about soap-making and, according to Nourse, this started her head spinning “in all sorts of directions”. Nourse then began her own research, and what she found amazed her. The number of chemicals in commercially produced soap was staggering. Many of the ingredients she couldn’t even pronounce. At that same time, both Nourse and her son had skin problems. Nourse’s dry skin and eczema were something she had thought she would just have to live with. She had even tried consulting doctors, but nothing seemed to help. So while doing her soap research, Nourse discovered ingredients she could use that were both beneficial to the skin and wonderful to the senses. She found that quality soap could be made using natural and nourishing oils, butters, and essential oils that make your skin really healthy. Through a lot of trial and error, Nourse started making soap that actually made a huge difference in her and her son’s skin. She wanted to share this with her friends. Despite meeting with very little interest at first, Nourse decided to give her soap to them as gifts. Soon her friends discovered that Nourse’s soaps lathered better, made their skin feel softer and smell better than any commercial soap. They also no longer needed to use moisturizer. and The Cupertino Soap Company was born! 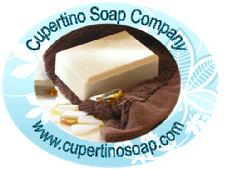 The Cupertino Soap Company is a small, family owned business located in Cupertino, CA. Nourse is proud to offer the quality, handmade products she herself developed. while also keeping the planet safe. and never tests on animals. 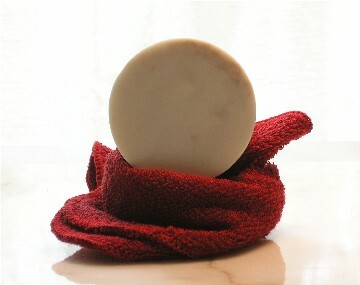 Most of The Cupertino Soap Company’s handcrafted soaps contain shea butter, cocoa butter, hemp seed oil and olive oil. Some contain goat’s milk. All ingredients are organic and natural. Nourse prides herself on only using the best herbs, botanicals, and spices in her soap. Nourse admits that she is now a “soap-a-holic”. She loves trying a new soap fragrance or blend, and keeps multiple soaps throughout her house. She considers her soaps “an affordable luxury”! Visit The Cupertino Soap Company Website, Facebook page, and etsy shop to see for yourself the wonderful soaps Veronica Nourse has to offer! You will be glad you did (and I know since I have ordered soaps from her myself!). check out my Website and online paper, "Access Profiles Weekly". Thanks, and remember to “Shop Small”!